First step skin care for a healthier and younger skin. Remove aging symptoms and make skin shinier andbrighter. Infuse moisturizer deep into the skin and whiten skin from inside out. Mild salicylic acid that will remove old skin cell, which increase permeability of the skin for better skin hydrationthat will make your skin healthier and younger. 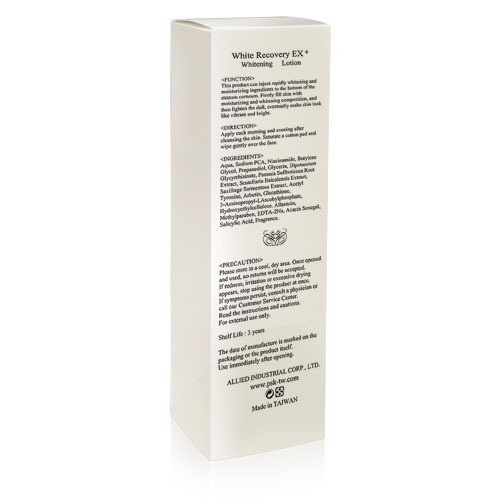 Composed of natural ingredients to replenish your skin andbring back its natural shine. Vitamin E that will protect skin from aging symptoms and make it brighter, firmer, and softer.